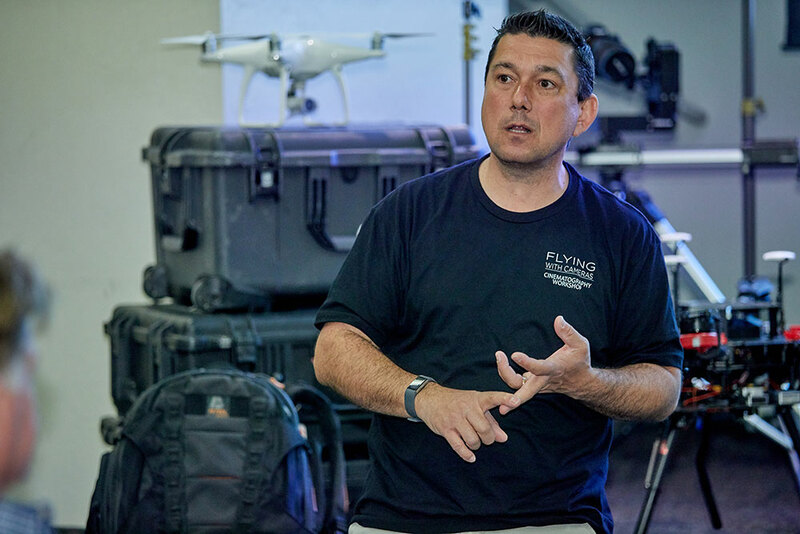 “Flying with Cameras” stands out among drone workshops in their proven ability to bring top-level classroom teaching from full time industry professionals coupled with hands-on practice for each participant. 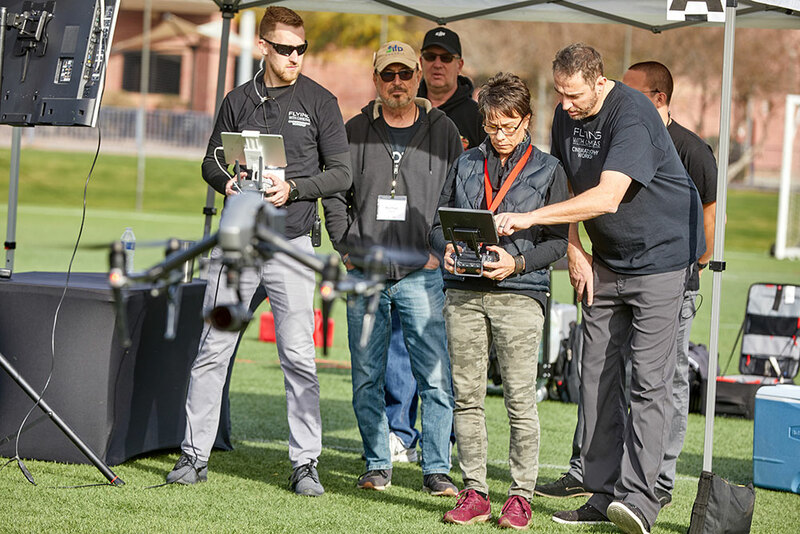 It is unusual to find large-scale workshops that include the hands-on aspect – yet it is the top priority for drone pilots to practice alongside experts in the field. The weekend is packed full of useful application, tips and tools, and conceptual foundations, sure to bring your creative skills to the next level. 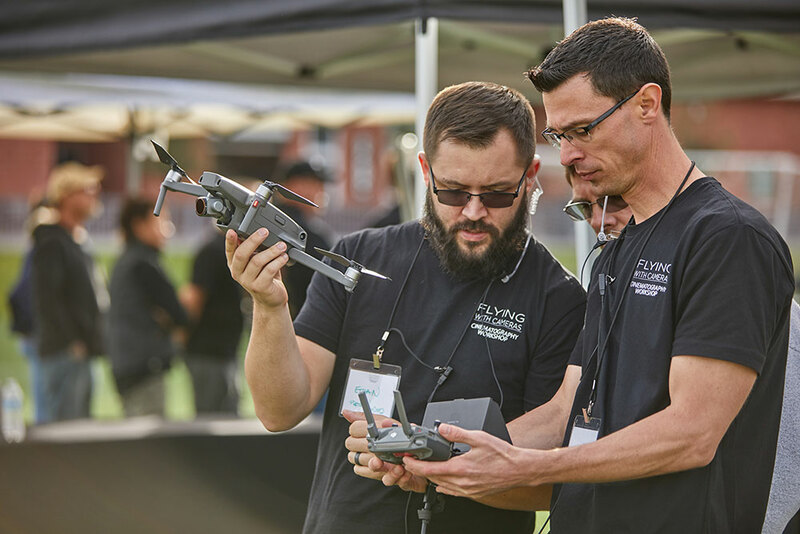 Whether you fly drones as a hobbyist, wanting to market yourself as a drone professional, or as an experienced drone pilot with an insatiable drive to master your craft, these workshops are for you. I thought the venue was great and provided good flying practice time. The food was good both days. Learning and discussing flying camera techniques and setting up a good shot were very helpful. 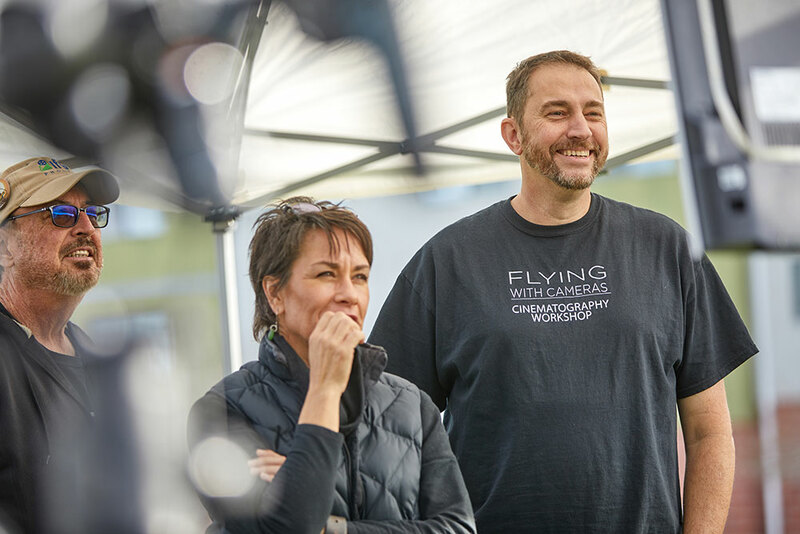 It was great to have the folks out there from DJI helping us fly and learn how to get great shots while flying. Not as easy as you all make it look. All of the assistants out there clearly knew their stuff and were able to teach us in a way that didn't make us feel dump. They were very patient and offered constructive feedback and were very helpful. It was clear they all had a passion for what they do and love what they do and it showed with their enthusiasm. 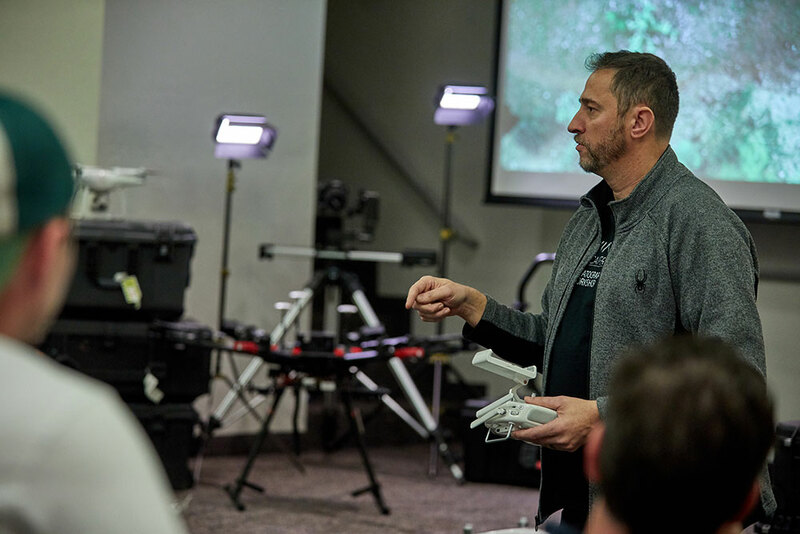 If you are new to drones, a hobbyist, or have experience but want to continue honing your skill and talent for cinematography in flight, Level 1 will give you pro-level access to understanding the hows, whys, and regulations around drone use. Learn the techniques used by professionals to capture emotion and tell stories with every shot. 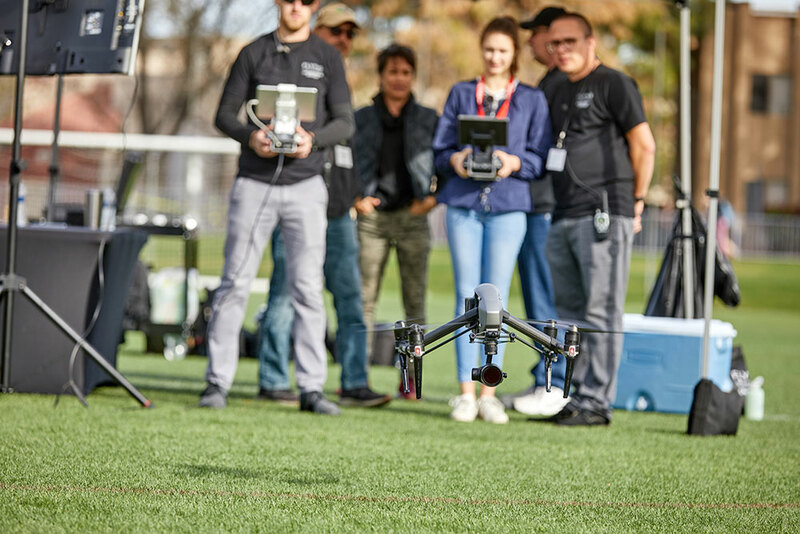 Boost your confidence as a drone pilot and get hands-on instruction from experienced cinematographers. 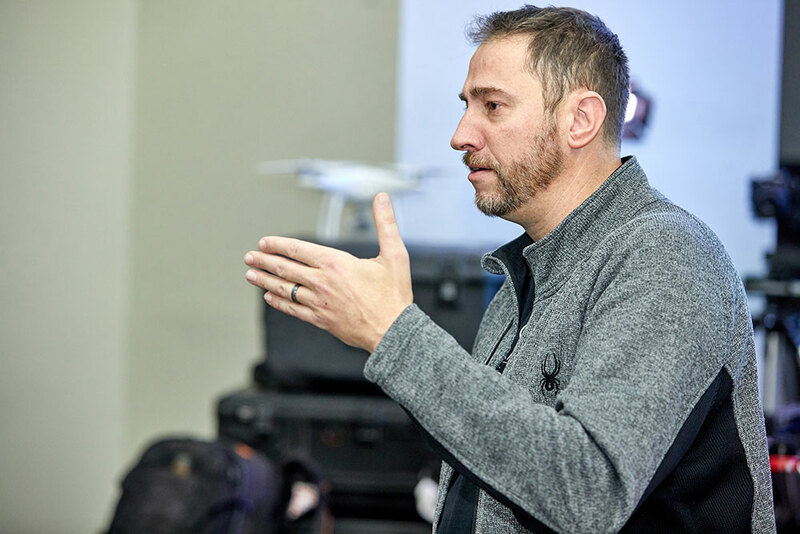 If you have experience with basic cinematography (or beyond) and find yourself driven to push the envelope of what drone can do, Level 2 is for you. Grasp advanced creative camera movement, and advanced techniques to convey emotion. Learn about different frame rate and depth of field. Discover the purpose behind camera movement. 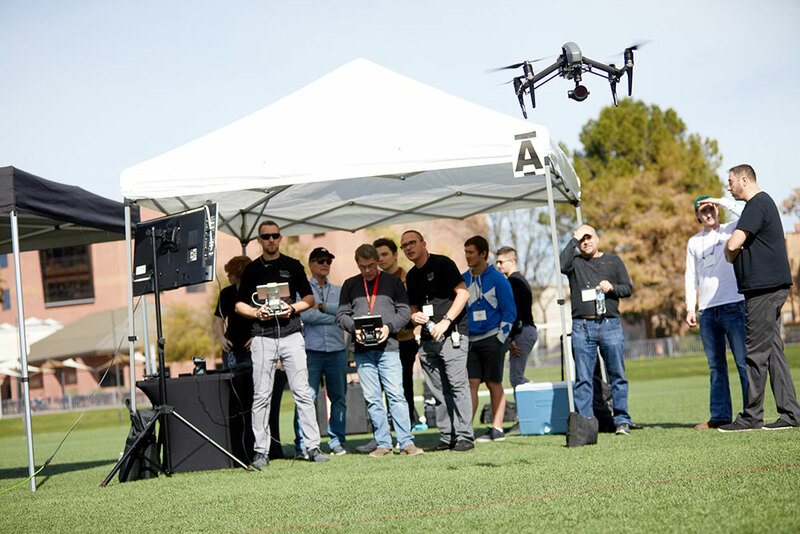 The day includes hands-on drone instruction from professionals to take your future productions to the next level. Build on the momentum by attending both days and receive a discount. Sign-up for both Level 1 and Level 2 to gain the most from this experience. 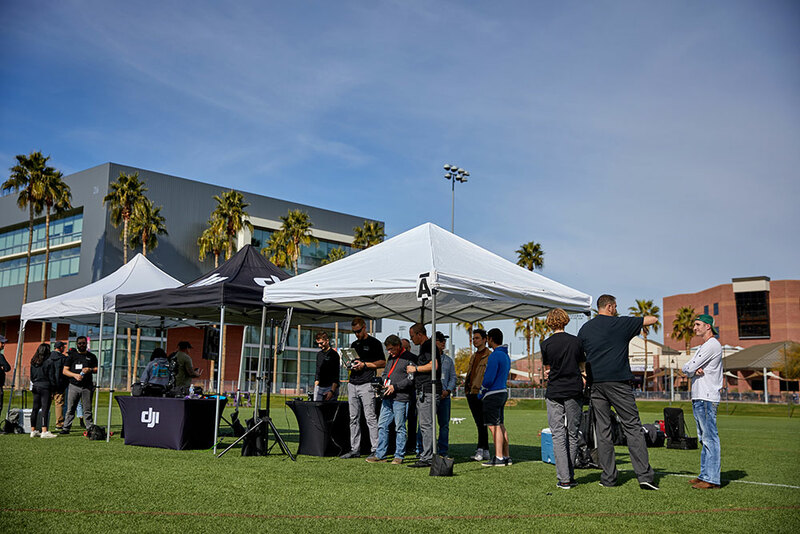 Both days are packed with essential information, personal and group hands-on drone flight time, and a networking lunch both days. 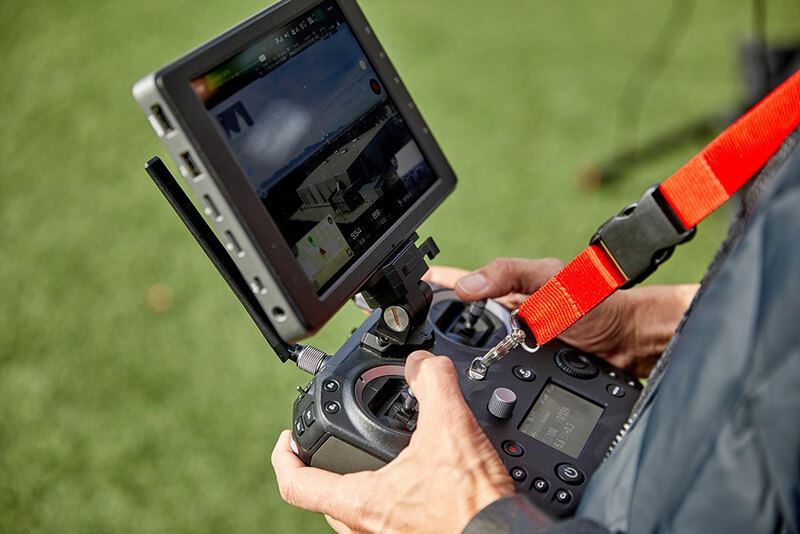 There is a lot more to aerial cinematography than simply flying a drone. Actually, flying is the easy part. Are you confused about fstops, or dynamic range? And what's a shallow depth of field anyway? 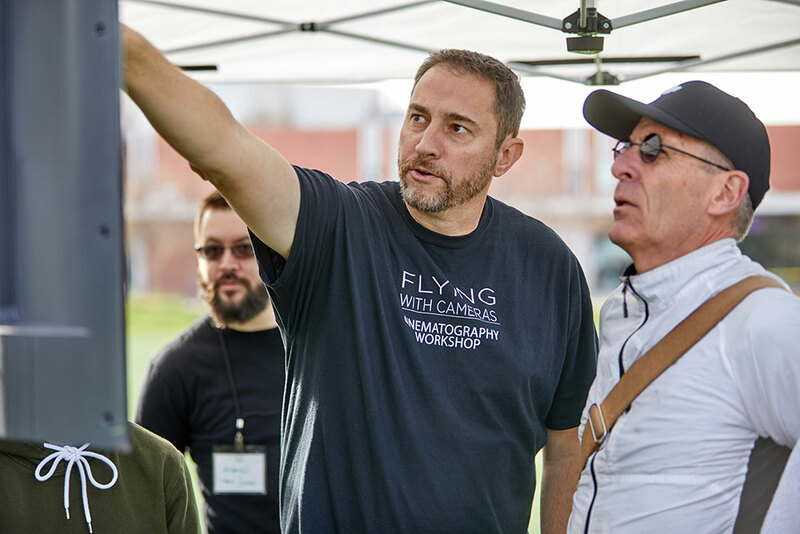 We designed this workshop to build the foundation for great cinematography. We will discuss the camera manual settings and how to achieve proper exposure. Using real work examples we'll look at how to use camera movement to convey emotions, direct viewers' attention, and tell better stories. 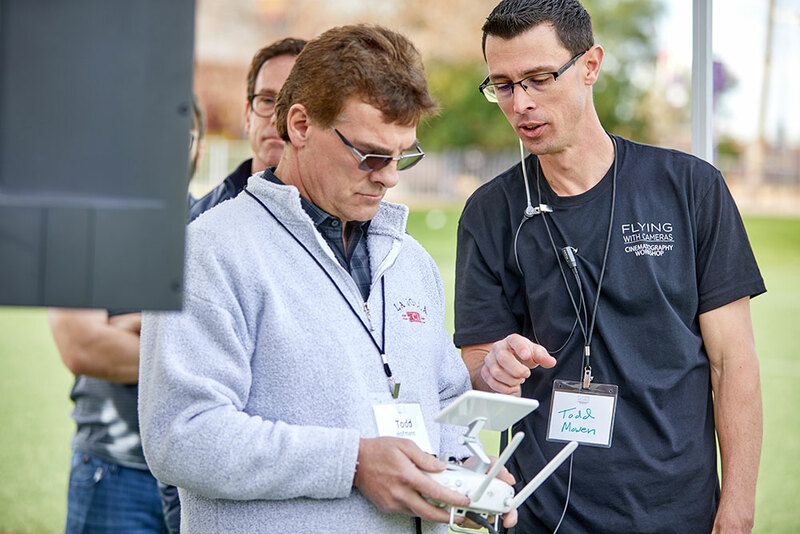 Every attendee will have the opportunity to fly a drone and apply what we discuss during our morning and afternoon hands on sessions. You will fly with an expert standing next to you, giving you one on one instructions. Each session will give you 7 minutes of time in the air, to practice the techniques discussed. 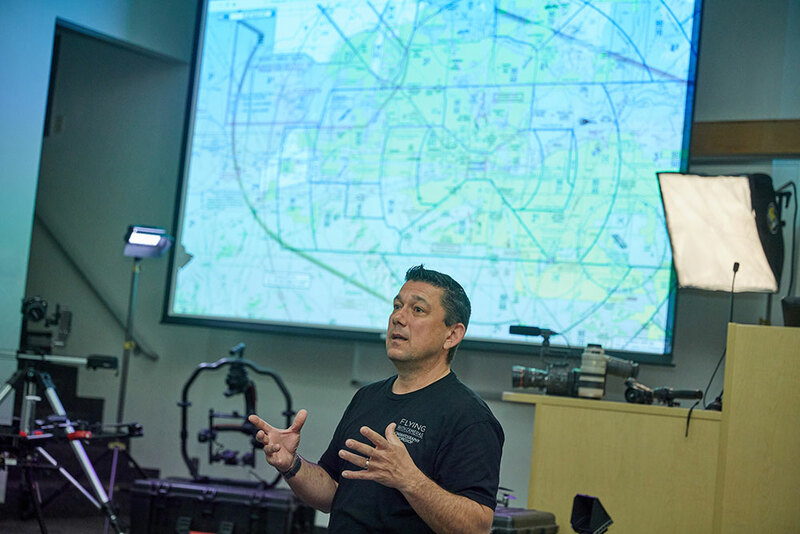 We have also incorporated a 1 hour session regarding FAA rules and regulations to learn about the latest regulations around flying drones. We'll share some of our tips when asking for different waivers. "Today’s hands on event was very good. I really appreciate your patience in working with me and your excellent instruction. The final two reveal shots on my card really made me think I can shoot some excellent video"
Are you ready to not just dream about a complex shot, but actually implement it? Are you looking to push creativity to the max? Ready to break the "rules" of how to use a camera? And who came up with those rules anyway? We designed this workshop to push the equipment to its creative limits. We will discuss long exposure, slow shutter, high and low frame rate. Using real work examples we'll look at how to create complex yet smooth multi axes camera movement to capture shots that will captivate your audience, and make your work stand out. 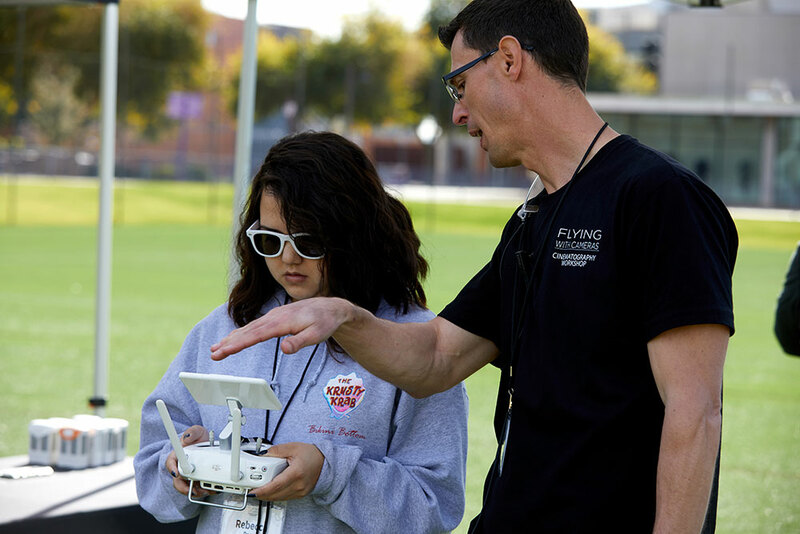 Flying with Cameras is a full suite learning experience that consists of both classroom and hands on time. 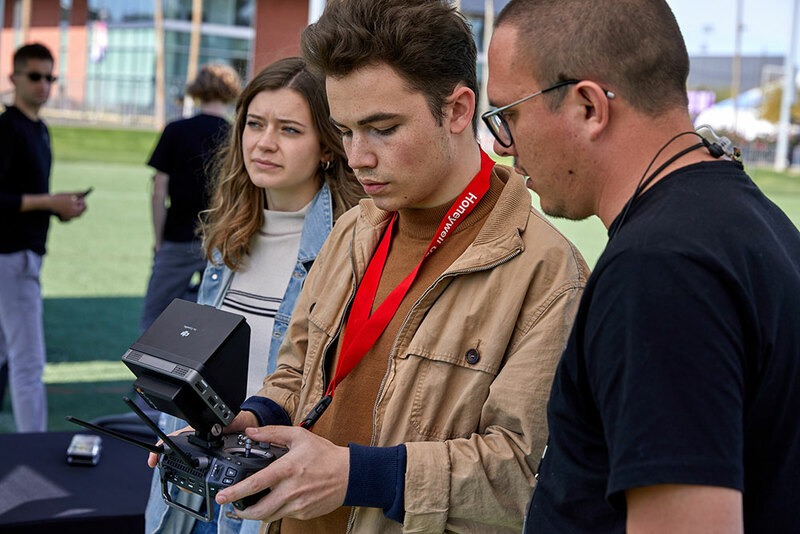 During LEVEL 1, our class allows for beginners to get an understanding of basic photography and cinematography skills when flying a drone. 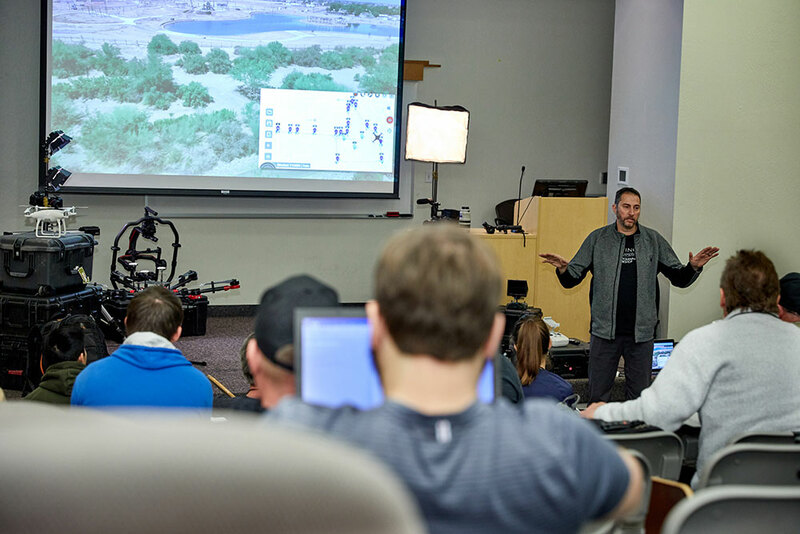 In LEVEL 2, we focus on advanced concepts including but not limited to hyperlapse and complex camera movements. 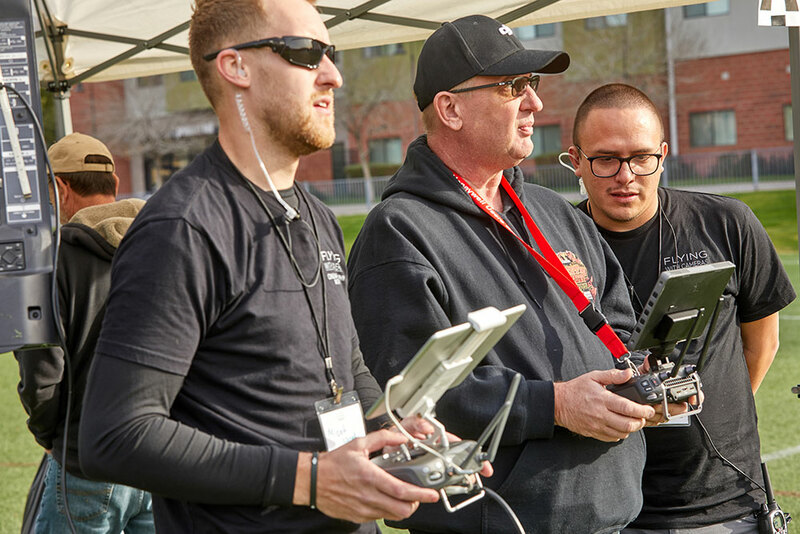 Unlike other classes we don't teach you how to fly a drone, rather how to move a drone and the purpose behind its movement. 2Should I already know how to fly a drone? 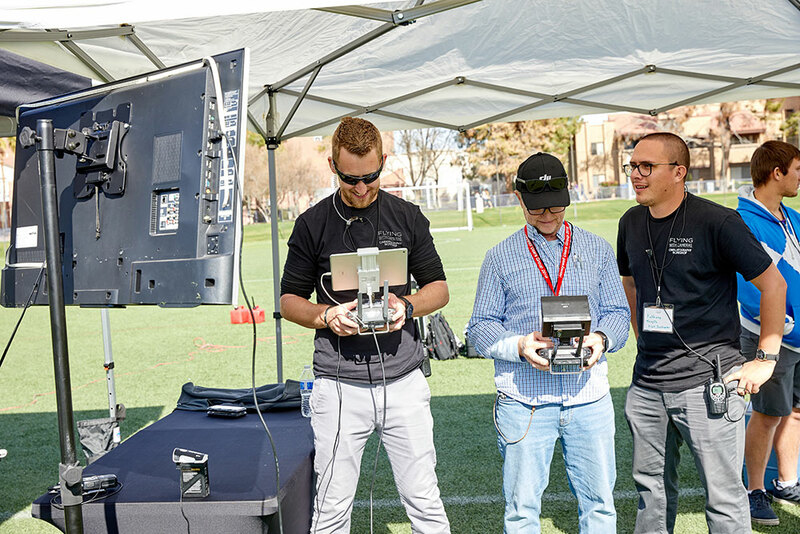 Yes, we highly recommend that you already be familiar with how to fly a DJI drone. This will give you the most value out of the hands on experience. 3Do I need to bring a drone? No, all the drones will be provided throughout the day. 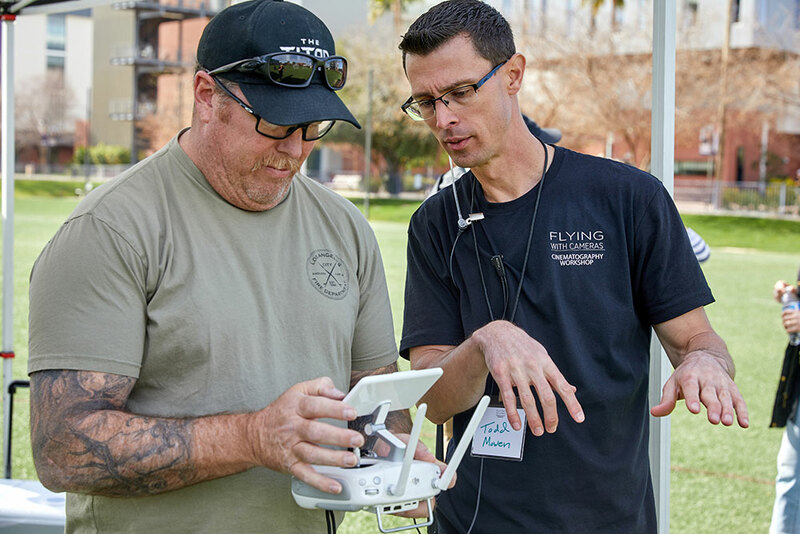 To reduce liability and confusion we will not allow end users to fly their own drone. 4Should I bring a memory card? 5Do I need to have an FAA license? No, our team of pilots have all the proper licenses and insurance. 6Can I bring a friend or family member? 7How much hands on time (flying time) am I going to get? 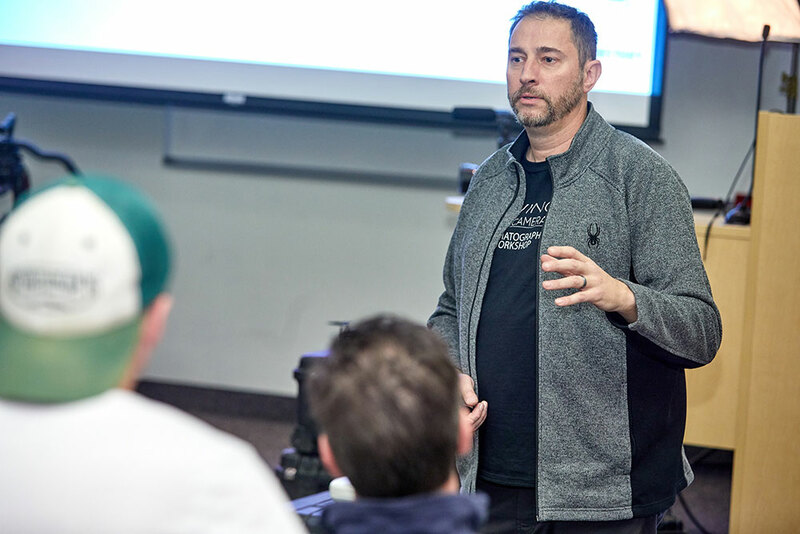 We expect to give each participant up to 14 minutes of hands on time with an instructor. This may not sound like a lot of time, however 14 minutes in the air is plenty to frame and capture your shot. 8Will food and beverage be provided? 9Can I attend both classes? Yes! 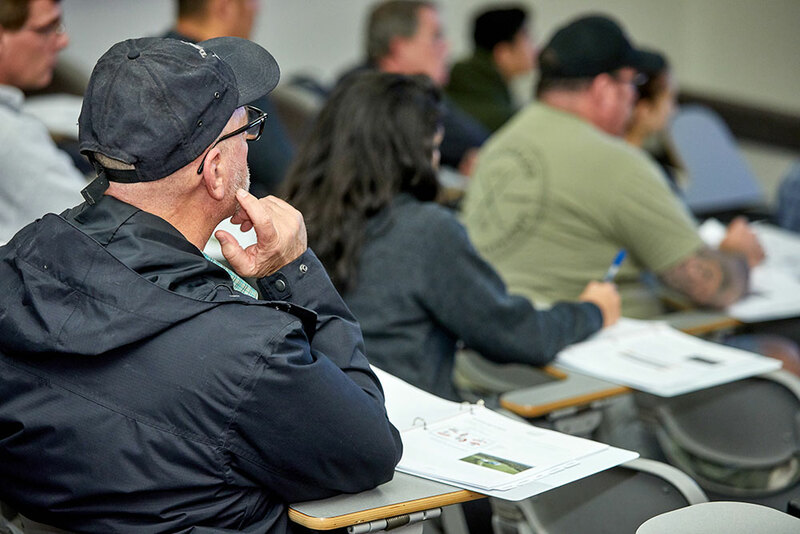 Attending both classes will get you the best value from our course. 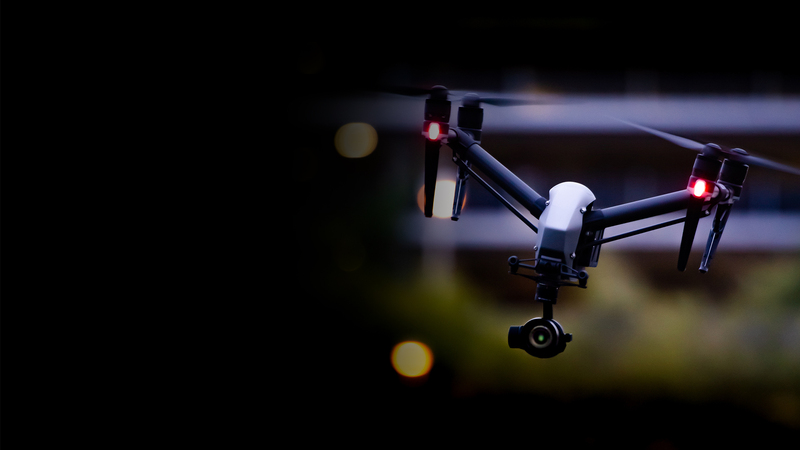 We will work from the ground up to get you knowledgable in camera movement with the use of drones. 10Can I request a refund if I am unable to attend? Yes.  Please contact info@flyingwithcameras.com 7 calendar days prior to the event date. Any cancellations after the 7 calendar day benchmark and prior to the event start date will result in a 50% refund of the total purchase amount. Refunds will not be available for registrants who chose not to attend the event. Cancellations will be accepted in writing only and must be received by the stated cancellation date. All refund requests must be made by the attendee or credit card holder. Refund requests must include the name of the attendee and/or transaction number. REFUNDS: Please contact info@flyingwithcameras.com 7 calendar days prior to the event date. Any cancellations after the 7 calendar day benchmark and prior to the event start date will result in a 50% refund of the total purchase amount. Refunds will not be available for registrants who chose not to attend the event. Cancellations will be accepted in writing only and must be received by the stated cancellation date. All refund requests must be made by the attendee or credit card holder. Refund requests must include the name of the attendee and/or transaction number. CANCELLATION: Prime Cinematography Consulting, LLC reserves the right to cancel an event due to low enrollment, inclement weather or other circumstances which would make the event non-viable. If Prime Cinematography Consulting, LLC cancels an event, registrants will be offered a full refund. Should circumstances arise that result in the postponement of an event, registrants will have the option to either receive a full refund or transfer registration to the same event at the new, future date.